Zinsser AllCoat Exterior Gloss (Water Based) is the ultimate performance all-surface paint designed for long term decoration and protection. Zinsser AllCoat Exterior Gloss (Water Based) is an ultimate performance all-surface paint. 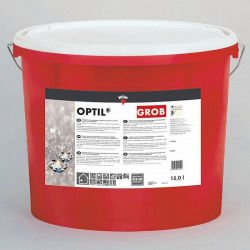 Designed for the long term decoration of timber, metal, masonry, plastic, concrete, cladding and more, it forms a vapour permeable, low maintenance water-shedding coating, re-coatable in 1 hour. Zinsser AllCoat Exterior Gloss (Water Based) contains a biocide to protect the dried coating against fungal degradation and is designed for all exterior surfaces. 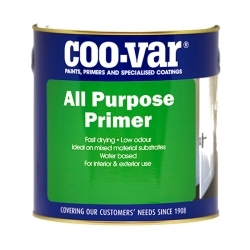 For most jobs, there is no need to purchase a separate primer. After removing existing mould and mildew, two coats of Zinsser AllCoat Exterior Gloss (Water Based) will ensure that any exterior looks bright and beautiful for years. Zinsser AllCoat Exterior (Water Based) is also available in Matt and Satin finishes, and in a Solvent Based Satin Finish - ideal for low application in lower temperatures. Zinsser AllCoat Exterior Gloss (Water Based) is self-priming and will adhere to most sound surfaces. It bonds to existing glossy paints without sanding. The first coat of Zinsser AllCoat Exterior Gloss (Water Based) primes and seals the surface, providing a base for the topcoat. The topcoat completes the sealing process while providing additional moisture resistance and protection. Before painting, fill all nail holes and gouges. Where necessary, spot prime knots and sap streaks with Zinsser B-I-N. For new or unpainted cedar, redwood, or other resinous timbers prime with Zinsser Cover Stain. At normal temperatures i.e. 20°C and 60% RH, Zinsser AllCoat Exterior Gloss (Water Based) dries to recoat in 1 hour and will be hard dry after 4 hours. 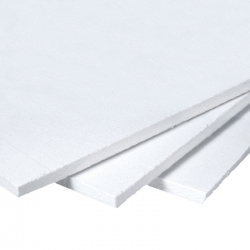 Full adhesion and hardness develop in 7 days. Zinsser AllCoat Exterior Gloss (Water Based) is available in a full range of BS4800, RAL and NCS colours. 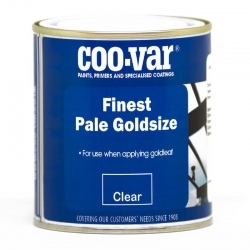 Multiple containers of tinted paint should be intermixed (boxed) to ensure colour uniformity. Would this be suitable to use on my wooden sash windows and their stone cill, or would the cill need a base coat of some kind. Zinsser AllCoat Exterior Gloss (Water Based) can be applied directly to a stone sill be it bare or previously painted. When applying on to timber, the surface should be primed with Zinsser Cover Stain initially before applying a minimum of 2 coats of Zinsser Allcoat Exterior Gloss (Water Based). I want to decorate a hall,stairs and landing . The finish has to be white gloss i don't want to use oil as it goes yellow after a few months. 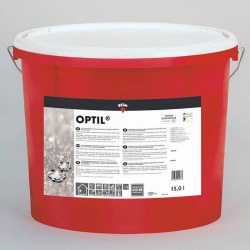 Would this product be suitable as there are quite a few panel doors to paint. Is it easy to keep the edge going I've found other water-based glosses don t look good on large painted areas. Yes you can use Zinsser AllCoat Exterior Gloss (Water Based) for an interior application and it will give a non-yellowing finish. To paint doors we would recommend using a 4” short pile roller, it is much easier to keep a wet edge and will be quicker to cover a large area. 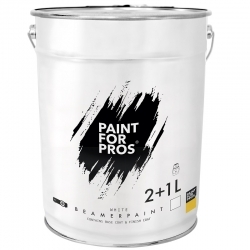 You could also use one of the Zinsser primers to prime the door first if you wish, Zinsser Bulls Eye 1-2-3 or Zinsser B-I-N would both be suitable. 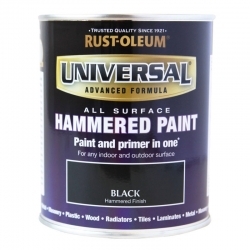 Hi can i use the Black gloss all exterior paint on my composite door. If yes do i need to undercoat first? Zinsser AllCoat Exterior Gloss (Water Based) can be applied directly to uPVC with no primer required. We would advise abrading the surfaces with a fine grade of sandpaper followed by a solvent wipe using methylated spirits. Then apply 2 coats of the AllCoat Exterior Gloss (Water Based) in your chosen colour. Question: What would I use to thin Zinsser AllCoat Exterior Gloss for spraying? Zinsser do not recommend this product is thinned at all for application by Brush, Roller or Spray. They recommend application by Airless Spray only, as this will allow the product to be applied without thinning. The product is water based so for clean up, you can clean application tools, spatters and spills immediately with warm water and liquid detergent; rinse with water. Follow equipment manufacturer’s directions to clean spray equipment. Remove dried product with a household cleaner; rinse with water. Regarding Zinsser AllCoat Exterior Gloss I failed to open the datasheet for some reason. When I clicked on the datasheet button, there appears to be two. One listed as MSDS and the other listed as TDS so are there two products available? What is the cleanup on this/these product/s? Is a primer/undercoat recommended? 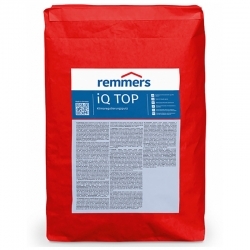 Every product has a Technical Data Sheet (TDS) and Material Safety Data Sheet (MSDS). Zinsser AllCoat Exterior Gloss is a water based product so clean up can be carried out with just water and for most surfaces no primer is required but for full details see information in the TDS.